The British distributor Network initially concentrated on releasing television shows on disk, often with substantial special features. While they continue with those releases, they have also branched out into features with an ambitious line labelled The British Film which attempts to include pretty much every genre, style and budget level going back decades. They’ve been reviving numerous comedies and B movies, as well as largely forgotten dramas and famous-but-hard-to-find titles like Halas and Batchelor’s animated version of Animal Farm (1954). I’ve just acquired two of their recent releases on Blu-ray, both titles I’ve been looking for for a long time. Val Guest’s 80,000 Suspects (1963) was the second to last film in the decade-long run which stands as the peak of his career. Although he started out as a writer, and then director, of comedies, he hit his stride as one of the finest filmmakers in England when he went to work for Hammer Films in the mid-’50s. After The Men of Sherwood Forest (1954), he essentially remade the studio as a world-leader in horror with his adaptation of The Quatermass Xperiment (1955), a film which defined his approach to the genre – a strong sense of documentary naturalism applied to fantastic material, grounding the monster story in character and real locations in a way which made the genre seem more adult than it was usually given credit for. Although he continued to make comedies and even musicals, his best work over the next ten years consisted of science fiction (Quatermass 2, The Abominable Snowman, and his masterpiece, The Day the Earth Caught Fire), war movies (The Camp on Blood Island, Yesterday’s Enemy), gritty contemporary dramas (Expresso Bongo, The Beauty Jungle), and thrillers (the excellent Hell Is a City, and to a lesser degree Stop Me Before I Kill! and Jigsaw). The portrait of a marriage damaged by infidelity and distrust is well-observed, and there are some remarkably subtle scenes in which Guest manages to evoke unspoken undercurrents between the characters, but for anyone looking for a thriller this domestic drama seems like a distraction – while for a viewer interested in the stresses imposed on traditional gender relations by the social upheavals of the ’60s, the epidemic keeps getting in the way. Network’s Blu-ray offers a nicely restored image, with deep blacks and impressive contrast, particularly in the many night scenes. The only extras are the booklet essay, an image gallery and some PDFs of publicity material. Network offers a more impressive package with their new release of an even-more-difficult-to-find title, Peter Yates’ Robbery (1967). This was the film which really launched Yates’ career – he had previously made two features, the Cliff Richardson musical Summer Holiday (1963) and the unsuccessful theatrical adaptation One Way Pendulum (1965), plus numerous episodes of The Saint and Secret Agent; but Robbery was the film which made Steve McQueen insist on having Yates direct Bullitt (1968). 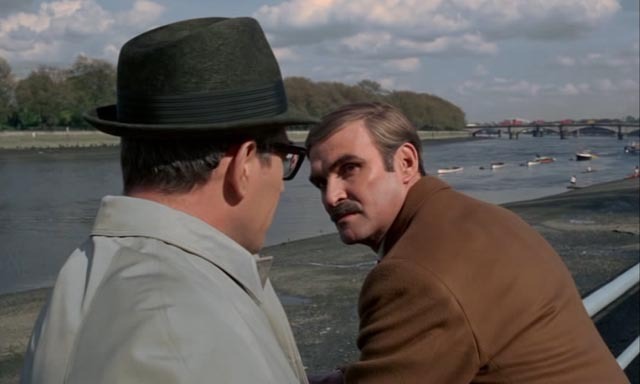 Based on the theft of £2.6 million from a London-bound mail train – the largest robbery in British history – the film is a gritty mix of docu-drama and crime thriller co-produced by and starring the great Stanley Baker. Although to a degree fictionalized (apparently at the time British libel laws made it risky to depict the actual criminals, most of whom were convicted and behind bars when the film was made, because they would be able to sue for misrepresentation! 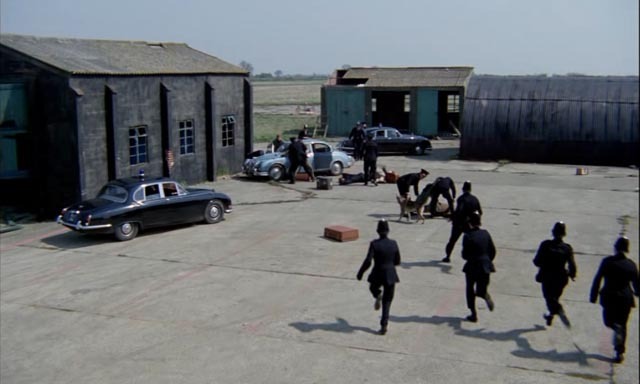 ), Robbery plays down character and psychology in favour of concentrating on the mechanics of the job and the parallel work of the police who knew that something big was being planned and were already homing in on some of the gang members. Yates and the writers (Edward Boyd, George Markstein, Gerald Wilson and Yates himself) begin the film with a spectacular action sequence as members of the gang pull off an elaborate jewel robbery on the streets of London and make a high-speed getaway with the police in pursuit. This kind of filmmaking was rare and difficult at the time, but Baker’s connections with the London police managed to clear the way for some obviously fairly dangerous stunt driving through the city, often with cameras inside the speeding cars (there doesn’t appear to be any process work involved). 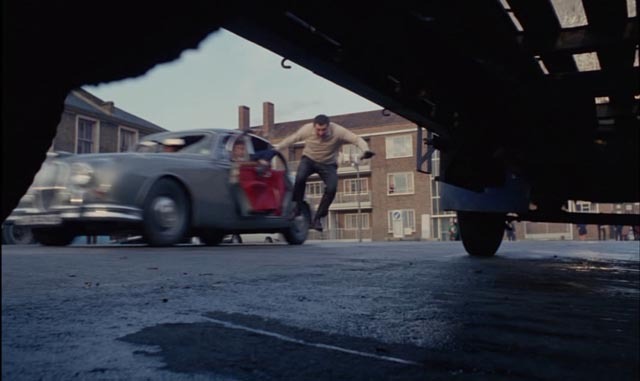 This sequence, which took eight days to shoot at the start of the production, is actually more impressive than the famous Bullitt chase shot by Yates in San Francisco the following year; while the stunts in the latter are spectacular, the streets are so obviously cleared to reduce risk that the city seems bizarrely empty. 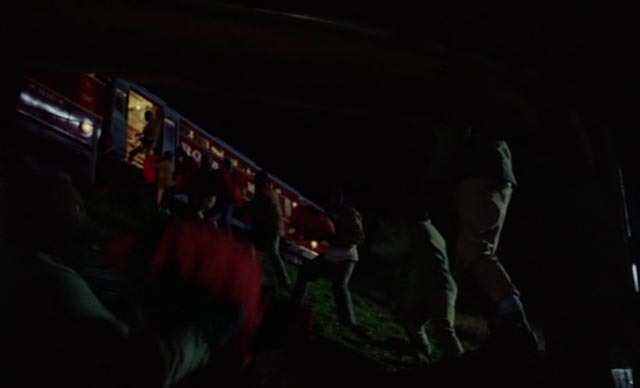 In Robbery, the streets seem more realistically occupied, making the sequence closer to Friedkin’s chase in The French Connection. The energy generated by this opening infuses the rest of the film even as it settles down to a slower, more methodical pace, focusing on the detailed preparations, gathering personnel together by making alliances between different gangs, and trying to avoid the police. There is a perfunctory nod towards convention with a conflict between Baker’s Paul Clifton and his wife Kate (Joanna Pettet), who wants him to get out of the business, but the film is really only interested in the details of the robbery. And Yates directs that action with admirable efficiency on location at night (with excellent support from the great cinematographer Douglas Slocombe, who just died on February 22 at the remarkable age of 103). This is what we look for in heist movies, the craft of the criminals and the little glitches which threaten to undo all the planning. And as always in great heist movies, the gang’s downfall is largely rooted in internal tensions. Clifton’s original plan is to fly the money out of the country immediately, to be divided later; but others disagree and want their share right away, so they hold up in a bunker beneath a disused World War Two airfield to sort through the huge amount of used bills (keeping only those which will be untraceable), a time-consuming process which allows the police to close in. Given Yates’ subsequent stature (twice nominated for Best Director Oscars), it’s always been puzzling that Robbery has remained largely unavailable. There was a 2008 DVD release in Britain from Optimum/Studio Canal, but it was pan-and-scanned. Network’s Blu-ray uses a new 2K scan of the original negative with a large amount of digital restoration. It looks very good, with the night sequences particularly strong. But not only is the film itself now cleaned up and in the correct aspect ratio (1.67:1), Network have packed the disk with almost four hours of supplements: a new 23-minute interview with producer Michael Deeley about the practical problems involved in the production, from basing it on a recent high-profile event to shooting that chase in the streets of London; a 32-minute archival interview with Stanley Baker from 1972; a new 49-minute documentary about the making of Robbery; three minutes of behind-the-scenes footage; a gallery and PDFs of promotional materials; and a whole other feature, The Great Train Robbery, cut down from a 1965 three-part German TV series about the crime, Die Gentlemen bitten zur Kasse, and dubbed into English for release theatrically in England and the U.S. This last, shown in 1.33:1, is in pretty rough shape, with a soundtrack all but inaudible beneath a thick blanket of white noise; though the dubbing into English is very well done. Directed by John Olden and Claus Peter Witt, this version concentrates entirely on the gang and their actions, detailing the planning and execution of the crime and the internal conflicts which prevent them getting away with it. There are moments when the photography, by Gerald Gibbs (apparently the only Brit involved in the production), has an impressive documentary-like immediacy, with the actual robbery quite similar visually to Yates’ version, but there are also many static scenes of groups of people standing around talking. The jarring clumsiness of the editing as it rushes from scene to scene is no doubt a result of the cut-down from the longer TV version. This disk is also accompanied by a booklet with a lengthy and informative essay about the production, here written by academic Sheldon Hall. With Robbery, Network have come out with a release to match Criterion, Arrow and the BFI. This entry was posted in Review and tagged Actors, Blu-Ray, British Film, Crime, Directors, Docu-drama, Thrillers. Bookmark the permalink.